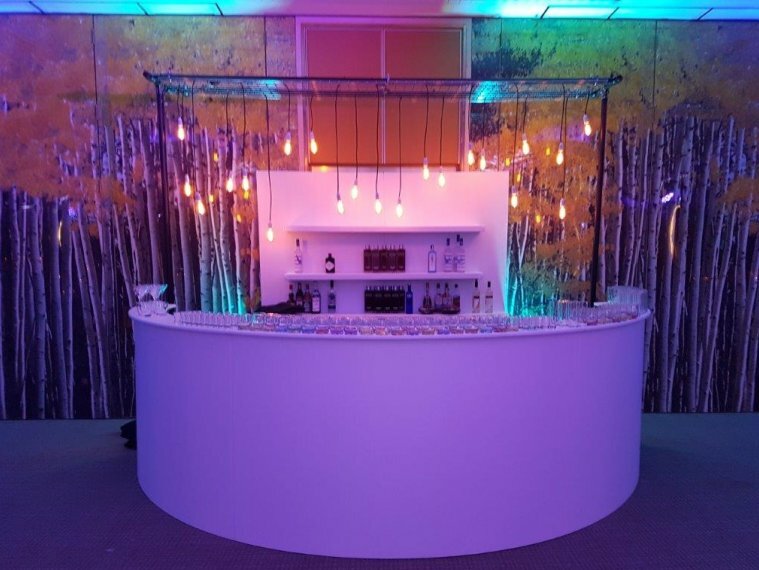 Corporate Events UK Ltd are proud to be able to supply three main different types of bars for your event see below for brief descriptions . Our Spectacular Colour Commander bars are a breakthrough in design for the portable market. Stocking 2 complete circles and numerous straight sections, each 5' in length, the possibilities for layout and function are endless. 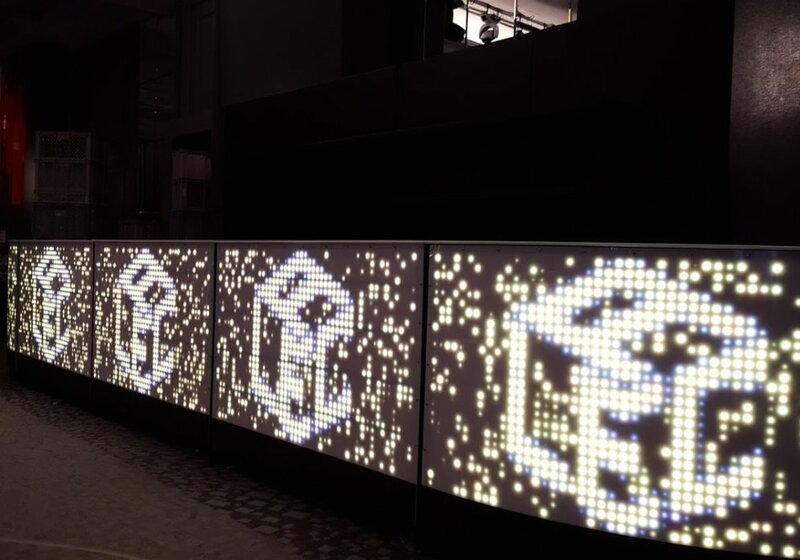 Our Colour Commander bars have 1200 RGB LED's per section, at a pitch of 30mm and all are fully controlled from the Command Centre accessing the hundreds of built-in patterns and effects with complete customisation and unique creativity. 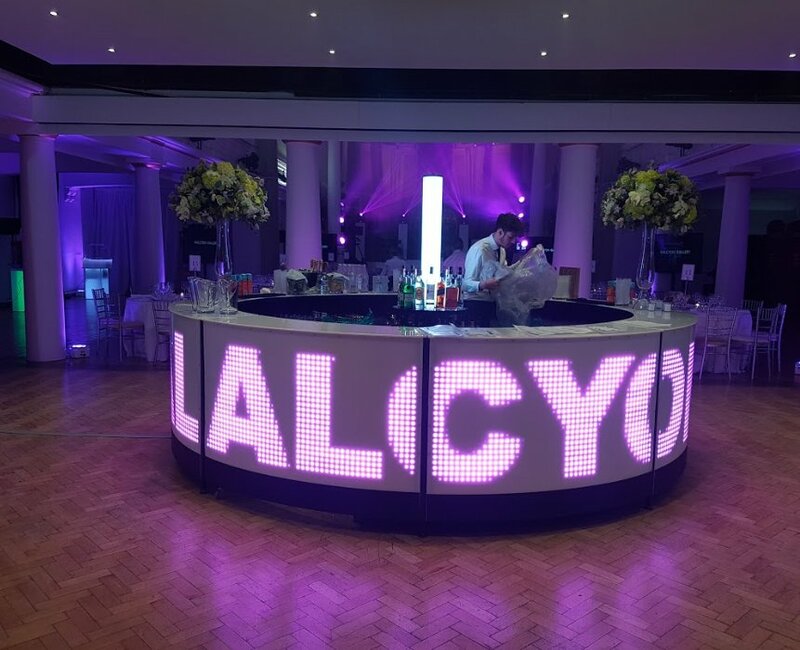 A brief overview of what is on our bar software, hundreds of built-in patterns, animations and images, custom text, videos and pictures, add your logo or even select live video streaming from a laptop, DVD player or webcam! Move to the beat with sound-to-light. Eight curved sections fit together to create a 13'/4m diameter circular bar, with one section being a hinged door. This looks stunning and is a really a unique way of creating usable retail space. 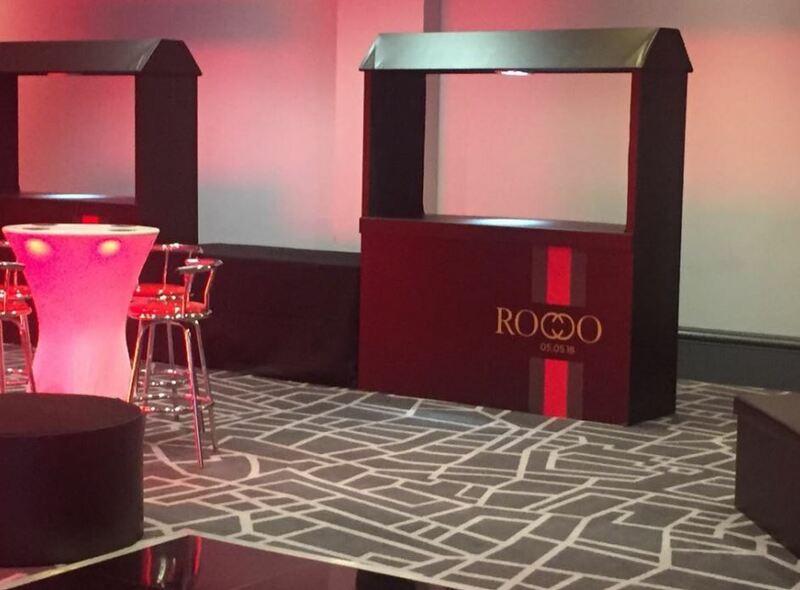 Semi-circular options are great for smaller venues or being placed in a corner, this system is very versatile in uses such as meet and greet areas or even as a state of the art DJ booth. 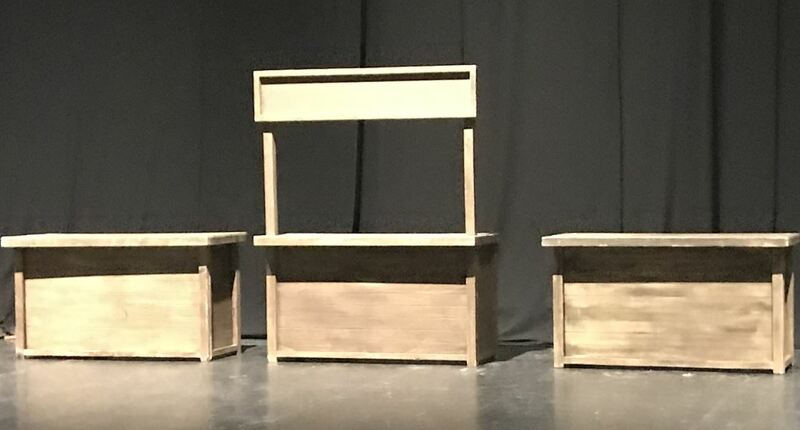 Each section has a front panel faced with 5mm 'opal' acrylic, a 10mm thick acrylic counter top available in black or white, two removable service shelves with or without ice buckets and also now available new to stock speed rails. 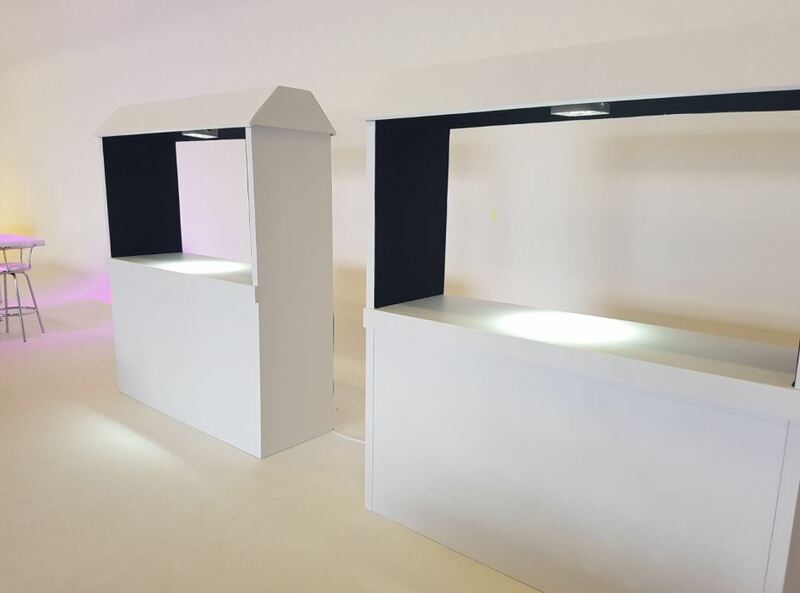 With this system and its ability to grab everyone’s attention it is perfect for exhibition stalls and product launches. 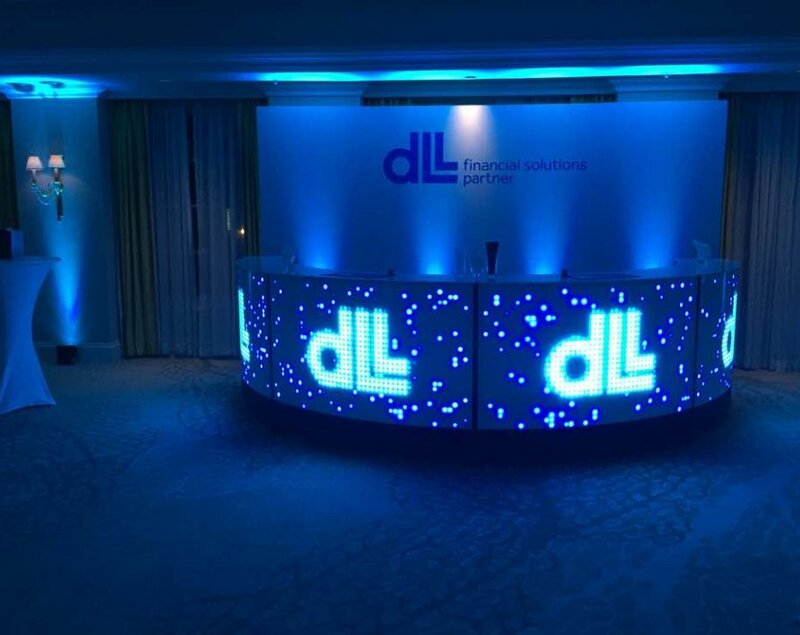 With its brightness alone who can miss your logo or company name scrolling around in LED lights! 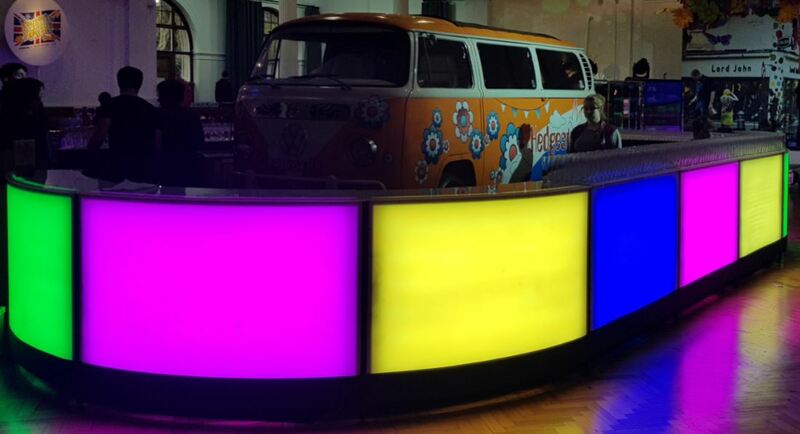 If you really want to go to the extreme why not book our Colour Commander Dance Floor to run with the bar. 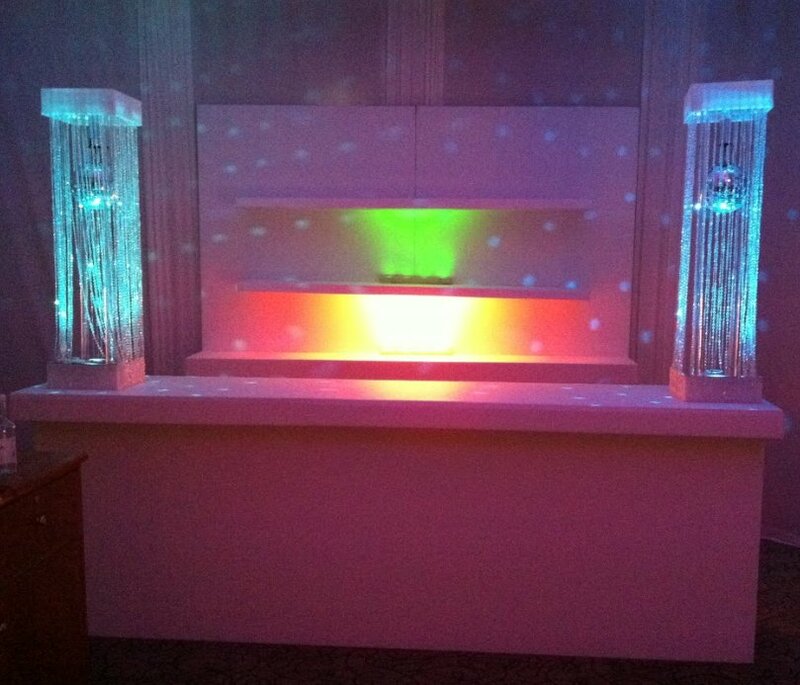 Click here for details on the dance floor. Remember for your piece of mind all the colour commander equipment comes with an operator. 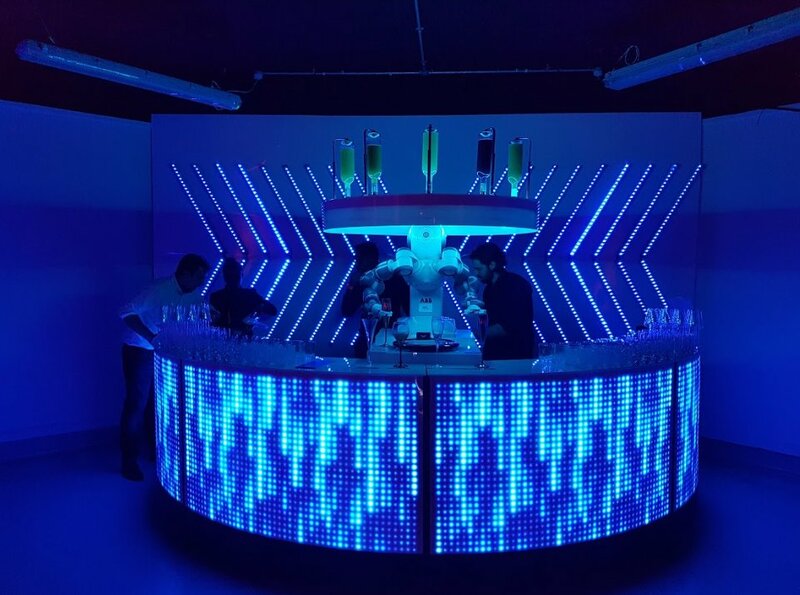 Our LED bar sections are the same sizes as our colour commander bars the main differences are this style LED bar only does solid colours, each one can be individually controlled or linked together as a full bar working as one. 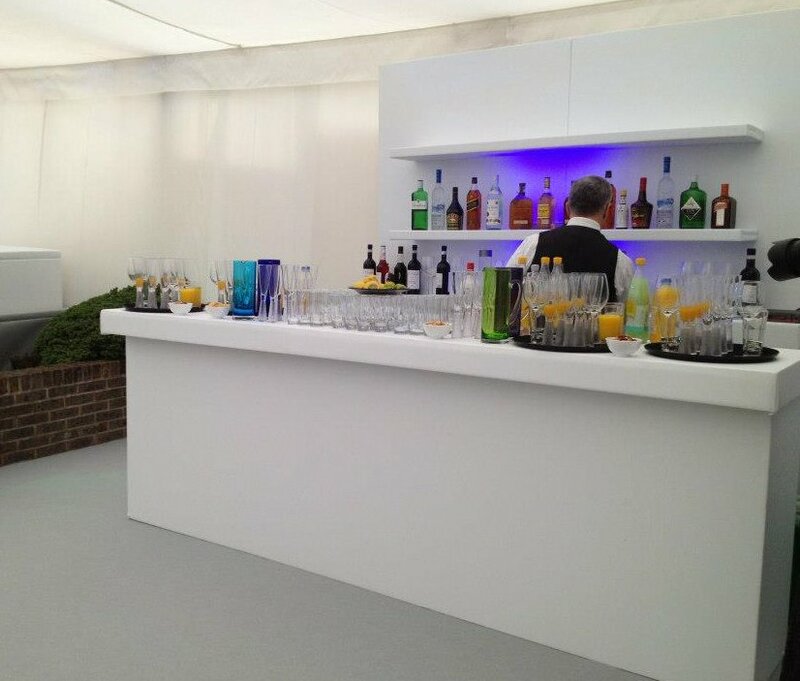 The LED bars are cheaper to hire and also do not need an operator to stay on site. 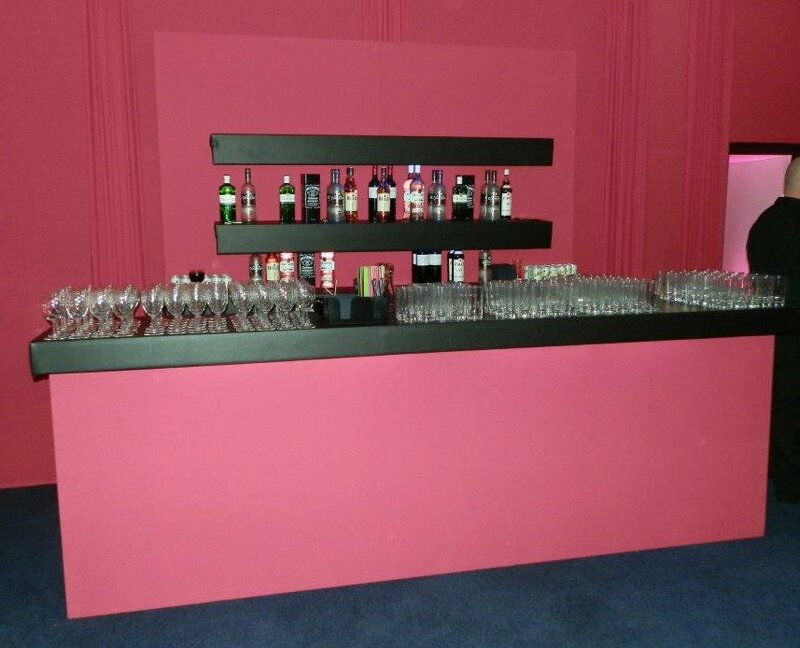 Our in house bars are literally covered and finished to order so limitless choice of colours and finishes including the popular rustic look and even mirrored, these bars as standard have a serving area and one lower shelf. 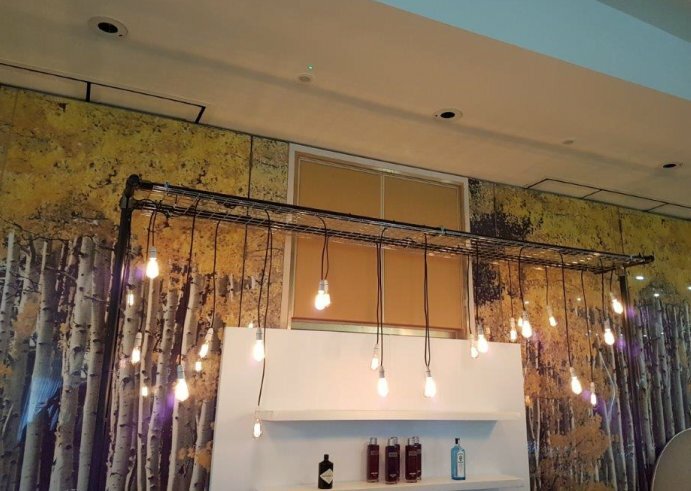 As standard our custom bars are in 8ft sections, there are fully compatible with each other so there is no limits to the size and shape you require. 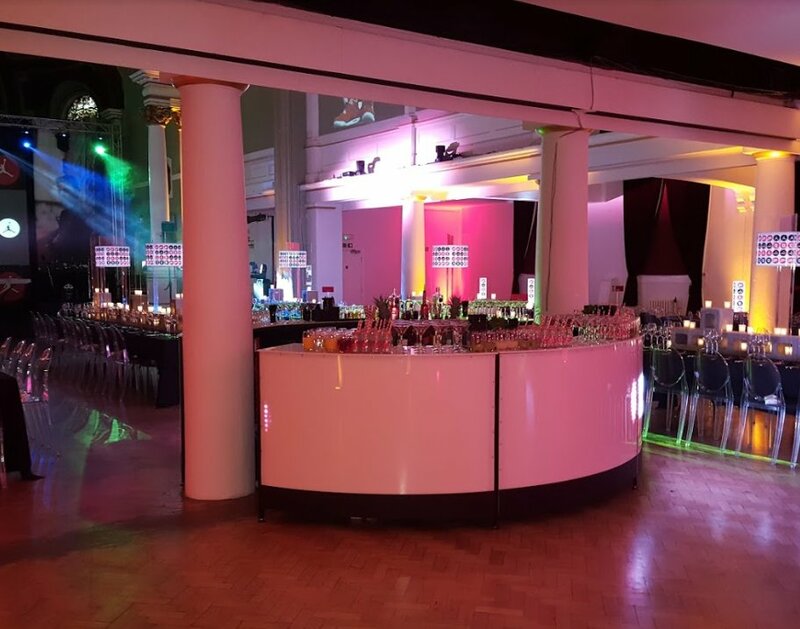 Our food counters are very often booked with our bars and are like the bespoke bars are available in all the same finishes. 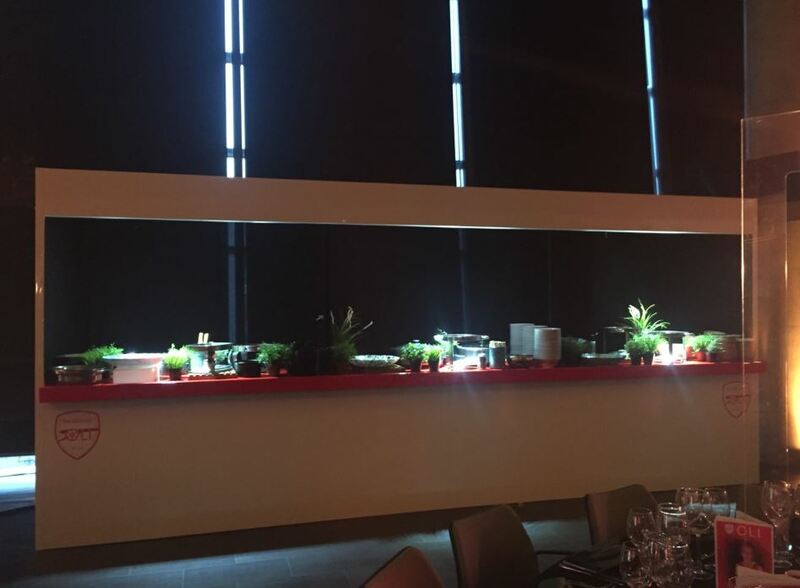 Other option for food counters are things like a canopy roof which house lights to light up your food ready to be served, we also have food counters with flat tops that can have a custom made logo or for the more artistic there are black board options. 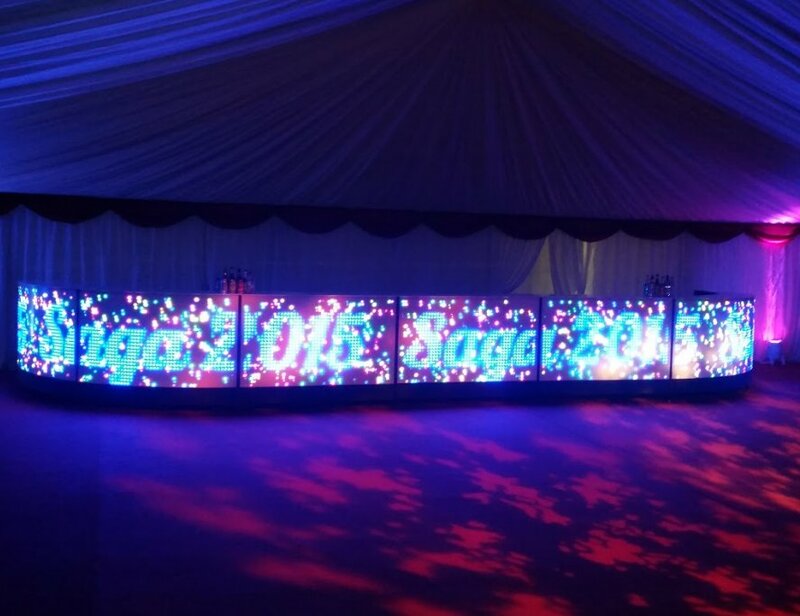 We have round LED back bars for our circular bars, We also have others options such as dance podiums available. 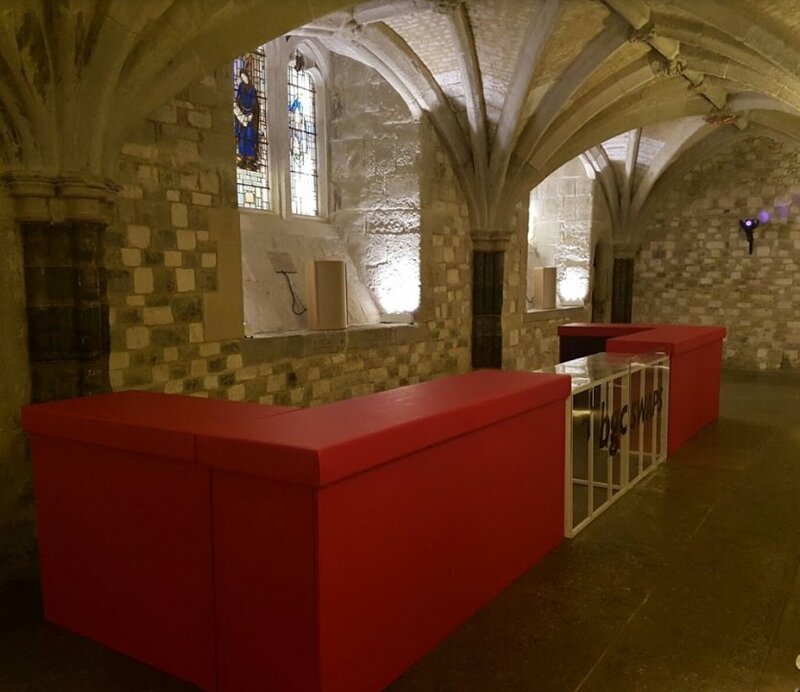 We have our standard 8 ft shelved back bar and now our new boxed style back bars, as standard these sections are six to eight foot long. We also stock glass display fridges, ice buckets and speed rails.